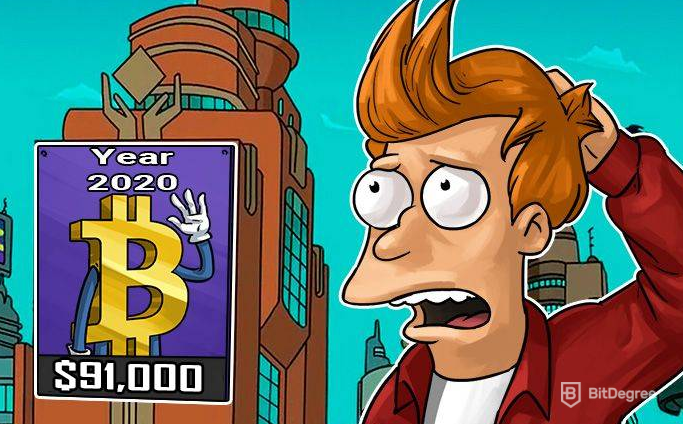 Do you currently hold Bitcoin and are wondering what’s going to happen its price in the near future, what is the Bitcoin price prediction 2020? Or have you heard about it and would like to know whether it’s a good investment or not over the long term? Well, if your answer is yes to either of these questions then you’ve come to right place! Quick fact: Did you know that Bitcoin increased its price by more than 2000% in 2017!? In this Bitcoin price prediction 2020 guide, I will first give you a quick overview of what Bitcoin actually is, followed by a brief explanation of the things to consider before you invest heavily based on a price prediction guide (just like this one!). After that, I will then discuss some popular price predictions for the year 2020 and let you know my thoughts on each of them. Finally, I will then discuss some of the upcoming real-world events that could affect its price movement going forward. So, what are you waiting for? Let’s start by making sure we know what Bitcoin actually is! 5 Is Bitcoin a Good Investment? Bitcoin was created in 2009 by an anonymous developer called “Satoshi Nakamoto” and was the first and original cryptocurrency. Bitcoin allows people to send and receive funds without a third party intermediary and as such, it is a decentralized payments system. The network is controlled by no single person or authority, nor is it backed by any central bank. Instead, transactions are verified by a community of “miners” who use their computational power to confirm the movement of “funds”. 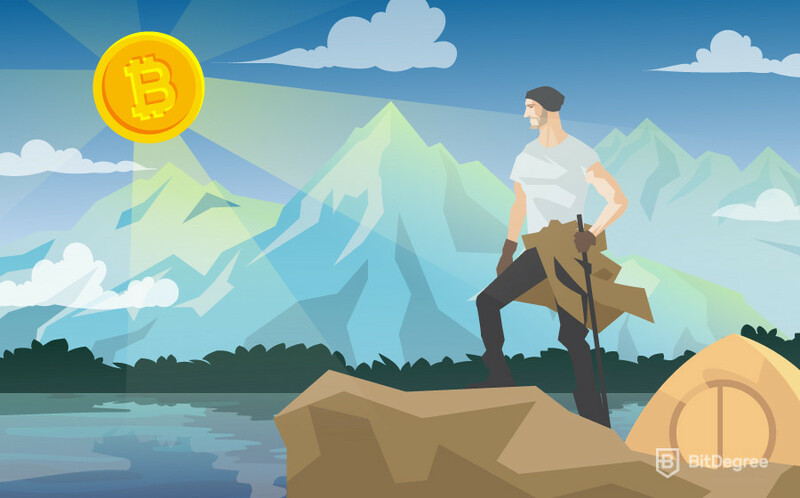 In return, miners are rewarded with additional Bitcoin for contributing to the network. The technology that supports Bitcoin is called a blockchain, which is like a giant accounting book. Every single transaction that has ever been processed on the Bitcoin network is available to view on the blockchain. Furthermore, once a transaction has been added, it can never be changed or removed – which makes it extremely transparent. When sending Bitcoin to another person, a transaction normally takes about 10 minutes. In total, the network can process about 7 transactions per second and fees depend on how many people are using the system. The Bitcoin project has been an amazing success — when it was first released in 2009, its price was less than 1 cent. 8 years later in 2017, it reached an all-time high of around $20,000! Not only this, but the creation of Bitcoin has encouraged more than 1,600 different cryptocurrencies to enter the market to date. So, now that you know a little about what Bitcoin actually is, in the next part of my Bitcoin price prediction 2020 guide I will quickly discuss the things that you should consider before acting on somebody else’s price predictions. In reality, nobody can predict the future of a cryptocurrency, but if we could, we would all be billionaires. In the cryptocurrency world, prices are very volatile. This means that the value of a coin can go up or down really quickly, with often no explanation as to why. This makes predicting prices much more difficult than traditional markets. When considering the future value of a cryptocurrency, it is always better to look at real-world events. This can include improved technology, future roadmap objectives, new partnerships or even regulations. The most important thing is that you always perform your own independent research before making an investment. Never buy a cryptocurrency just because a price prediction excites you, or because your favorite youtuber told you to! At the end of the day, everyone has a different opinion and there is no guarantee that anyone will get it right. So, now that you know what to consider when reading predictions, the next part of my Bitcoin price prediction 2020 is going to analyze some well-known Bitcoin predictions. The first Bitcoin forecast that I want to discuss with you is by John McAfee, the creator of the popular anti-virus software McAfee. McAfee is well-known in the cryptocurrency industry because he makes lots of insane price predictions on Twitter, however, it has since been revealed that crypto projects pay him more than $100,000 to do so. Anyway, in 2017, MacAfee said that Bitcoin would reach $500,000 in 2020, and if it didn’t, he would eat his private parts live on TV! If you didn’t think this was crazy enough, McAfee then increased his Bitcoin price prediction 2020 to $1 million! To be honest, he seems rather confident to me. 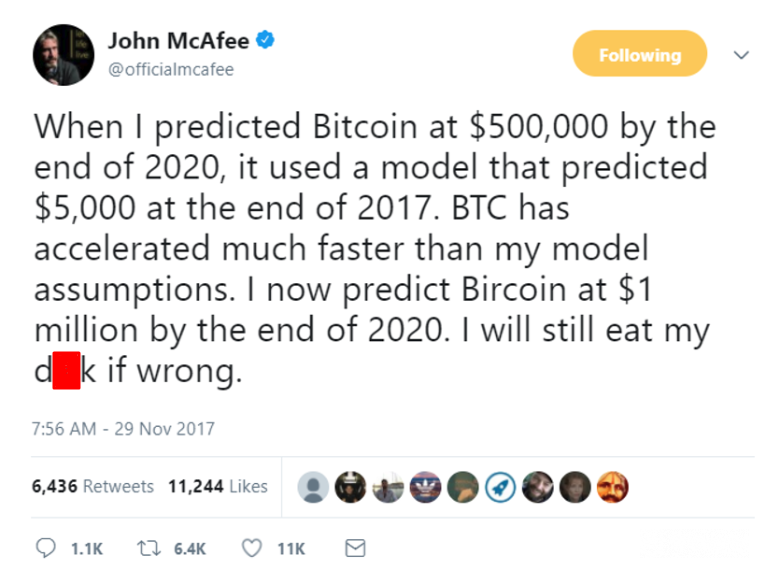 McAfee claims that his prediction is based on his own price prediction model, however, nobody knows what this looks like. If his Bitcoin future price of $1 million comes true in 2020, that would give it a total market capitalization of $15 trillion. Market capitalization is used to work out the total value of an asset or business. It is calculated by multiplying the current market price against the total amount of coins or shares in circulation. For example, if the current price of a cryptocurrency is $10 and there are in 5 million coins in circulation, then the total market capitalization would be $50 million. Going back to McAfee’s prediction, Bitcoin would need to increase its value by more than 4,900% from its all-time high of $20,000. Interestingly, the price of Bitcoin increased by more than 2,000% in 2017, so if the current trend continues, who knows what could happen! The next Bitcoin price prediction 2020 that I wanted to discuss is by an analyst called Tom Lee. Lee works for the cryptocurrency research organization Fundstrat and he is well-known for discussing the price performance of Bitcoin live on TV. According to Lee’s Bitcoin forecast, the cryptocurrency will break its all-time high in 2017 by reaching $25,000. Moving forward to 2020, Lee believes that the price of Bitcoin will be valued at $91,000. This particular researcher is highly experienced in chart analysis. This is when you look at historical price movements of a coin and then make a future prediction based on how the coin has moved in the past. In reality, Bitcoin is probably the only cryptocurrency that you can do chart analysis for. This is because other coins do not have enough trading volume or enough historical data, whereas Bitcoin has a track record of 9 years! The next Bitcoin price prediction 2020 I wanted to talk to you about is a really interesting one, performed by the analyst Osato Avan-Nomayo from Bitcoinist. This prediction is based on the fact that in 2020 the Bitcoin mining reward will be halved from 12.5 BTC to 6.25 BTC. As you will see from the chart below, the Bitcoin mining reward has halved twice in its history. In 2012 it went from 50 BTC to 25 BTC and then in 2016 it went from 25 BTC to 12.5 BTC. The historical price chart shows that when these two events happened, the price of Bitcoin experienced new heights shortly after. For example, 1 year after the first mining reward reduction, BTC rose to $1,000 for the first time. Then 1 year after the second mining reward reduction, BTC reached record highs of $19,500. Although Bitcoinist don’t actually give a specific Bitcoin future price for 2020, their analysis predicts that its value will reach new all-time highs in 2020, which will be at least $20,000. The final Bitcoin price prediction 2020 that I wanted to discuss is by the CEO of Brave New Coin, a cryptocurrency research organization. In this Bitcoin forecast, Fran Strajnar believes that its price will reach new highs of $200,000 by the year 2020. Stranjar argues that adoption rates are increasing all the time, which includes more and more people using the network and an increase in wallets and apps. This is a good argument because as more people buy and use Bitcoin, its price will of course increase. In fact, in countries such as Japan, there are more than 200,000 stores that you can spend Bitcoin in the real world. So, this also helps increase the price as it gives the cryptocurrency real-world usage. So, what do you think of the Bitcoin price predictions I have listed above? Do you agree with them, or are you still not convinced? If you’re looking for more of an insight, then the next part of my Bitcoin price prediction 2020 guide is going to look at some events that could affect Bitcoin’s price. I mentioned earlier that one of the most important things to consider when looking at the Bitcoin future price are real-world events, such as technical advancements and regulations. I have listed some of the things below that could affect its price. Although Bitcoin is number one cryptocurrency in terms of market capitalization, reputation and real-world usage, the performance level of its transactions are actually quite poor. In fact, there are many other cryptocurrencies that are faster, cheaper and more scalable. Firstly, it takes 10 minutes to confirm a transaction on the Bitcoin network. Other coins such as Ethereum can verify transactions in around 16 seconds. Secondly, Bitcoin fees are now much higher than they used to be and now cost dollars rather than cents. Thirdly, and probably most importantly, Bitcoin can only confirm 7 transactions per second. This is Bitcoin’s level of scalability at present, and it is a big problem. For example, NEO and Ripple are able to confirm thousands of transactions per second, so if Bitcoin is to become a global payments system then it must improve technically. A company called Lighting Labs (which has received investments from senior individuals from Twitter, PayPal and Litecoin) are very close to releasing a protocol that will significantly improve the performance of Bitcoin transactions. Known as the Lighting Network upgrade, it is believed that the protocol could allow the Bitcoin network to increase its maximum transaction limit to millions per second. Furthermore, transactions will also be much faster and cheaper. If the Lighting Network is successful then it should have a very positive effect on the price of Bitcoin. Even though Bitcoin has been trading for almost 10 years, regulation is still in its very early days. There appears to be a theory that when governments start regulating it, the price of Bitcoin will be negatively affected. However, this couldn’t be any further from the truth… just take a look at Japan! In 2017, Japan became the first nation in the world to completely regulate Bitcoin in the same way as its financial services industry. In fact, the Japanese government classes Bitcoin in the very same way as its Yen currency. Since this happened, Japan now has the highest trading volume in the world for Bitcoin. People also use it every day in the real world as there are over 200,000 stores that accept it! Once other major nations follow the same regulation policy as the Japanese government, it will give Bitcoin far more legitimacy. Not only would this mean that people start to trust Bitcoin more, but it could also allow large financial institutions to start investing. Ultimately, if this is the case, the price of Bitcoin should increase. As mentioned above, there are more than 200,000 stores in Japan that accept Bitcoin. Although there are also stores in other nations such as the USA and UK, the amount of stores is rather small. As more and more companies start to accept Bitcoin, it will allow people to start using it as an actual currency. On the other hand, if a really popular app decided to start accepting Bitcoin as its main currency, this would also give the coin more value. Essentially, if Bitcoin can increase its real-world usage, we could see one of the really positive Bitcoin price prediction 2020 come true. Although Bitcoin has always been the number one cryptocurrency, it is important to remember that there are more than 1,500 different coins in the market. Although most of these projects have been built on top of other blockchain protocols such as Ethereum, there are also lots of individual blockchains, too. There is no guarantee of which cryptocurrency will dominate in the future, so you should always research and keep on top of what other projects are doing. Furthermore, various central banks and governments are considering releasing their own cryptocurrencies too, which could be in direct competition with Bitcoin. For example, the government of Venezuela recently completed an ICO for their own coin – the Petro. So, now that you know some of the real-world events that could affect its price, in the next part of this Bitcoin price prediction 2020 guide I am going to give you my opinion on whether I think it’s a good investment or not. Before I give you my own personal opinion, I wanted to make it clear that I am not giving you financial or investment advice. Just like the predictions I discussed above, nothing is ever guaranteed. You should always make a decision based on your own research, so please consider that. Anyway, overall I believe that there will be multiple cryptocurrencies that play a major role in the future of transactions. However, I think that Bitcoin will always be the most trusted and stable cryptocurrency of them all. Interestingly, I don’t actually think that Bitcoin will be used as a medium of exchange, which means that it is used as an everyday currency like U.S. dollars. Instead, I think it will act more as a store of value. Note: A store of value is where people buy an asset to keep their money safe, just like Gold and Silver, in the hope that it increases its value. In my opinion, although Bitcoin has been around for 9 years, it is still very early days. If more countries start to regulate it like Japan did, then I think it has a really good chance of increasing its price by 2020. However, in the very near future, I think the biggest event could be the installation of the Lighting Network upgrade. This should take Bitcoin to another level and could make some of the other blockchain’s irrelevant. Whether it’s a good investment or not though… well, you need to make that decision on your own through independent research. Timing is everything in the cryptocurrency markets, because if you invested in Bitcoin at the beginning of 2017 and sold at the end of the year, you would be in profit by more than 2000%. However, if you bought Bitcoin in late 2017 and held it up to now, you would be significantly down. If you believe in the ideology of the project, then it is best to hold your Bitcoin long-term, because at the moment the markets are still very volatile. That’s the end of my Bitcoin price prediction 2020 guide! If you have read it from start to finish, you should now have a really good understanding of what Bitcoin is and what it plans to achieve. 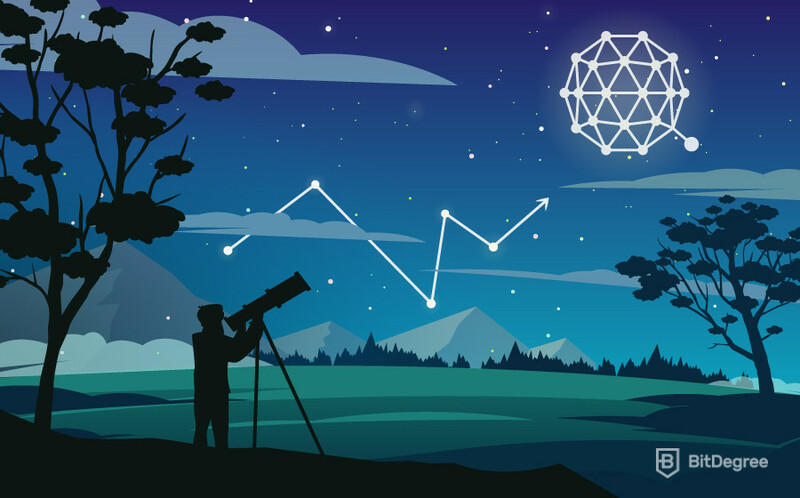 I have discussed some popular price predictions for the year 2020, which range from $91,000 all the way up to $1 million. Do you agree with any of these Bitcoin forecast models or do you see a different story? If so, do you think its price will go higher, or alternatively, lower? I also discussed some of the future developments that could affect the price of Bitcoin, including an upgrade of its technology, regulations, future partnerships and its competition. Do you agree with me that over the long-term, Bitcoin could be used more as a store of value, or do you think it will follow the original plan of its creator and be used as a medium of exchange? Whatever your thoughts are, please let me know your Bitcoin price prediction 2020 in the comments section below! This was a great article; thanks, and look forward to more. Boy, are you guys wrong! Today it is $1,068. So much for $90,000 by 2020. More like $.90! hi! this is a excellent website and i usually enjoy the data posted listed here. Bookmarked and shared. Thanks once again! This article gives good idea about the bitcoin prediction. I believe it will hit min $25,000 by 2020 and even more. Slow processing time is the reason why bitcoin is not adopted as mode of payment by many. Because of this less and less people believe in it. Because of that the price of bitcoin is at a free fall. The lightning upgrade, if it is true at all and if it is as fast as they say it will be, will deffinitely raise the price of bitcoin because then, people may actually prefer to use it as mode of payment. The key is “usability”. If it is usable (fast, efficient, reliable, transparent), then more people will use it. The more people use it, the higher the value. If bitcoin remains to be regarded as a store of value, bitcoin will collapse in the next few years. That is how I see it. I wish it will reach 10$m per 1 btc . by the end of 2020 .